According to John Rymer, VP and Principal Analyst at Forrester Research, a heavy reliance on code is insufficient for meeting the changing demands of modern businesses. “If we rely solely on coding, we’re going to fail. It’s too slow, inflexible, and we can’t move fast enough”, says Rhymer. And it is this awareness of the pitfalls of traditional applications that has affirmed the rise of no-code applications — characterized by their agile, robust, and flexible qualities. In order to support the dynamic growth of businesses, teams need to identify apps and solutions that will help them quickly resolve their business problems without waiting on IT to pave the way. Beyond reducing the cost and effort spent on custom coding, training, and deployment, this new breed of apps empowers workers across departments to tackle projects that would have otherwise required technical knowledge. Workato is an integration and automation platform with a team of incredibly talented developers, and yet we use countless apps and automations to empower our line-of-business employees to control their own assets. Here are 10 no-code apps that deliver the best of both worlds, enabling users to tackle the breadth of their business problems with the depth of a developer’s expertise. Ask any marketer, and they’ll agree that landing pages are integral to driving specific actions and conversions with any marketing campaign. Unbounce is a platform that allows users to get their campaigns live without the fear of an IT bottleneck. With its intuitive drag-and-drop UI, users can customize (or choose from their 80+ templates) their landing pages to attract the right audience, and increase conversions with targeted overlays. You can also integrate Unbounce with Constant Contact, Salesforce, MailChimp or Hubspot, so you can further optimize your data! We use Unbounce to create landing pages for our eBooks and marketing needs, then use Workato to move leads from Unbounce to Salesforce. What can we say, the native integration just doesn’t do custom objects like we do! Despite reports of social media possibly overtaking email in popularity, email marketing is far from falling out of fashion. According to a McKinsey study, users are three times more likely to convert via email, compared to social media channels such as Facebook and Twitter. MailChimp is a good starter solution to amp up your email marketing strategy. You can either build email campaigns from scratch or choose from a variety of templates that best suit your brand. Maintaining relationships and fostering engagement with your users is easy with MailChimp’s pre-built marketing automation feature. MailChimp can also seamlessly integrate with major eCommerce platforms to streamline purchase data and connect with your social media platforms to widen your reach. Best of all, you can track all your efforts by checking in on your mobile dashboard. If you already use MailChimp you can make it an even more powerful platform by automating processes between MailChimp and your other apps. Good old spreadsheets often get less credit than they deserve. But a spreadsheet app is one of the most useful and versatile programs you can use—helping us store and visualize data all in one place. Google Sheets allows you to log in, sort out, label and analyze information in an accessible way. As a collaborative software, you and your team can simultaneously work on the same file on any device, even offline. Changes save automatically, with a revision history keeping track of all changes. That means you’ll have a 360° overview of your project, without ever worrying about losing your work! Google Sheets is one of the most powerful tools for getting data where you want it to go when used with an automation platform. Fragmented lead data reduces productivity and slows down your sales team. Salesforce is a SaaS (Software as a Service) CRM platform that is highly customizable, all with no code. Instead, you can focus all your energy on understanding your customers and nurturing your leads. With a centralized place to log, manage, and analyze all your customer activity—such as contacts, accounts, and closed deals—you can constantly monitor every aspect of your customer cycle and spend more time finding ways to improve sales. CRMs are one of the most important apps to connect with other apps so your customer data stays up to day from all sides. If you’re looking to connect Salesforce, people on Salesforce AppExchange seem to really like Workato. We’ll just leave this here. Box began with Box’s CEO Aaron Levie’s hatred of thumb drives during his college days. Since then, he’s reimagined the way we collaborate and share data. The result? An online file sharing and cloud-based content management service for businesses. With Box, companies don’t need to build and maintain their content infrastructures. You can access, edit, comment on, and share files with your teams in real time—from any device. Box’s APIs and SDKs also allow for seamless integration with other best-of-breed applications, so you can streamline your business processes and move content around seamlessly. The proof is in the pudding: Box even uses Box while streamlining their own internal business processes. Effective team communication and collaboration is vital to the success of any company, especially if some staff work remotely. Described as team communication for the 21st century, Slack—an acronym for “Searchable Log Of All Conversation and Knowledge”— is a messaging tool that aims to reduce email traffic. It brings all aspects of communication together in one place; you can organize your team conversation in open channels, send direct messages, and host voice or video calls. And everything in Slack is automatically indexed, so you can easily filter through your entire archive to find the information you need! You can also connect your existing tools and apps with Slack, to avoid the pains of context switching and heighten your productivity. 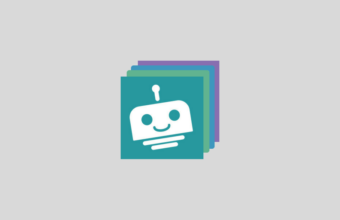 We love using Slack at Workato, and we use Workbot to get targeted notifications and do things in other apps straight from Slack. It’s just as great as it sounds – think creating a Trello card, opening a Zendesk ticket, or closing a Github issue all from your chat console. Developed by Atlassian, JIRA is an issue management tool for development and technical support teams. With JIRA, you can track multiple issues—via detailed custom reports and dashboards—and bugs related to your software. JIRA’s Kanban board also helps to guide and accelerate project processes by providing an overview of what your team has done, with its “To Do,” “In Progress,” “In Review,” and “Done” categories. Our Customer Service team uses JIRA because its tracking capabilities are top notch, and when properly integrated with Salesforce handover from Sales to Customer Service is a breeze. To successfully land a sale, every lead has to be consistently nurtured. But continuously monitoring thousands of leads is tedious and time-consuming. Marketo is a marketing automation tool that allows you determine the readiness of your leads by scoring them based on their activity. You can then easily contact them by automating repetitive tasks such as emails, social media outreach, and other website actions. For example, to effectively execute Account Based Marketing (ABM), Marketo helps you focus on the most important accounts according to sales data. You can target accounts by syncing them with your existing CRM systems, engage with them via the marketing automation feature, and measure your efforts. Others use Marketo in tandem with eCommerce apps, or to trigger SMS messages to new prospects. When it comes to financial management, reporting can be a nerve-wracking experience. Simple manual processes just don’t cut it anymore; compiling all your sales data, analyzing it, and presenting it is hugely resource-intensive. Intacct is an accounting and Enterprise Resource Planning (ERP) software that takes care of all your accounting needs. It can track your general ledger, cash management, order management, purchasing, and reporting and analytics. For large organizations Intacct is a great choice, while smaller companies might want to start with QuickBooks Online. ServiceNow is an IT Service Management, IT Operations management, Security Operations, Customer Service, and HR cloud platform. It works as a part of a comprehensive managed workflow that supports real-time communication, collaboration, and resource-sharing. ServiceNow is for all types of business users: CIOs, service desk staff, app developers, IT ops, and more. As a modern ITSM solution, ServiceNow requires no infrastructure; upgrades and customizations are easy to implement. That means that you can manage all your IT services in the cloud and focus on delivering better service outcomes instead of software maintenance. If you’re a ServiceNow user already, you can make Slack your ServiceNow work console ie. pull information from ServiceNow into Slack at your command, get notified of new incidents or when incidents are closed, and better use of your knowledge base. But by far, the best aspect of no-code apps is that you don’t have to be an IT expert to create your own workflows. With the right integrations, all your apps can fit seamlessly together—without you writing a single line of code. You can sync and streamline data, track issues more efficiently, get a 360° customer view, and more. From marketing and sales to DevOps and beyond, no-code apps are most powerful together.